SS: it is well known that egyptian pharoahs would possess multiple ka’s and souls . well the priestess “singers of atum” and “enchantress of atum” are goddess who are at the same level as an egyptian pharoah and therefore may also have multiple ka’s and souls . this priestess that i have been working with last few years has at least two and i think there is possibility of a third that i might not have discover yet but i have good idea where it might be. SS: when we write the name of a god or goddess with multiple souls or ka’s we write it like this: ISIS-Ix Chel . or we might write it has rahoorkhuit-quetzecoatl-vyasadeva . how this random picture has isis and ix chel in it is something amazing . we can see that ISIS is wearing the amazon beehive crown . SS: this crown jewel was found in the amazon jungle of brazil . it is the largest emerald in the world. it weighs 840lbs and if put it on the ground next to a person it will stand up past the knees almost to the waist .. we can see now the same beehive crown is also found in the constellation of scorpius the emerald nebula which is part of the mayan hunab ku beehive region .. which this emerald nebula appeared during the 2011 lunar lagoon nebula eclipse. .
SS: i was calling this the priestess empress crown jewel due to it’s correspondence .. however, i think even better name would be priestess enchantress crown jewel since my priestess is ISIS who is not only a “singer of amun” but also “enchantress of amun” . Giant Emerald’s Provenance Ever More Cloudy December 22, 2010 LOS ANGELES (CN) - With each hearing, it seems as though the ownership trial over the world’s largest emerald creates more questions than answers. One of the most fundamental is the value of the 840-pound emerald at the heart of the dispute. Upon closer inspection of the Bahia Emerald at the center of the trial, one piece of paper dated November 2001 estimated its value at $972 million. However, a second appraisal a year later gave its value as $372 million. Bahia Emerald Ownership Dispute to Resume Trial on Wednesday, January 19, 2011 January 7, 2011 LOS ANGELES–(BUSINESS WIRE)– Today, at a status conference held before the Hon. John A. Kronstadt, it was agreed that the trial would continue on Wednesday, January 19, 2011, at 9:30 a.m. Until the case is resolved, the Bahia Emerald will remain in custody with the Los Angeles Sheriff’s Department. At 840 pounds, the Bahia Emerald is said to be the world’s largest raw emerald. SS: another earthquake generated a small tsunami in the priestess region today, this following only a few days after the bonin chichi and haha islands in the quetzal headed mermaid man region earthquake tsunami .. the lunar eclipse has set off a sequence of earthquakes that is now occurring in the pacific . SS: this is a chain reaction from the lunar eclipse . the above rainbow in vanatau formed after an earthquake tsunami followed the easter island solar eclipse . Powerful earthquake causes small tsunami in Pacific Dec. 25, 2010 8:55AM EST A powerful earthquake struck under the sea near Vanuatu early Sunday, generating a small tsunami in the South Pacific. No damage or injuries were immediately reported. The 7.3 magnitude quake struck Sunday just after midnight about 225 kilometres south of Vanuatu’s capital, Port Vila. The U.S. Geological Survey said it was about 24 kilometres below the ocean floor. A tsunami wave measuring about 6 inches was recorded on some coastlines at Vanuatu, the Pacific Tsunami Warning Center said. New Caledonia and Fiji also were warned a tsunami was possible on their coasts, but the warning was cancelled about an hour and a half after the temblor. Earthquake triggers Pacific tsunami December 26, 2010 A POWERFUL 7.3-magnitude earthquake struck off the western Pacific nation of Vanuatu early this morning, triggering a small tsunami, exactly six years after giant waves killed 220,000 people around the Indian Ocean. SS: i have updated the priestess map below . i think this one shows more clearly the priestess mermaid and the quetzal headed merman that is etched into the side of the planet in the pacific ocean . here is link to the 2004 indonesian earthquake referred to in the article . SS: the stargate orion lunar eclipse happened . it is more rare than just the fact that it occurred on the winter stolstice. it is rare because it is part of a complex ritual that has been ongoing this last half of the year . it is the rose and cross formula which i will explain in detail. SS: so when you look at the above images you can see that the hartley tear is indeed in a rose + cross region near the ISIS Queenstar . and the moon on eclipse night is also in a rose + cross region in the orion stargate .. the hartley tear had just passed through this rose + cross orion stargate region aligned with the moon only one month before the eclipse. the orion stargate lunar eclipse happened the next full circle around the ecliptic one month later . SS: this fact that the hartley tear passed through orions stargate aligned with the moon is proof that this hartley tear is a silver star tear .. anytime we see the moon and a star that is the silver star, it is the astral light . and orions stargate is the upright torch of the lightbearer lightbringer the astral light, the place of the duat that the ancient egyptian godskings and goddess queens travel to the imperishable star . SS: just as the hartley tear entered the orion stargate on 28 oct the indonesian tsunami earthquake occurred .. it was a big wave and once again proves my astral light theory “As Above So Below” .. that means the silver star has etheric oscillations .. the frauds are going to find themselves at a disadvantage because their oscillations was backfired at haiti earthquake and methane blowouts in the gulf .. they are not going to have any oscillations if they attempt to form a rogue wave it will be backfired .. i personally always go for the backfires because they cause the most amount of damage . SS: the above map shows the location of an earthquake and tsunami that occurred right after the eclipse .. the earthquake happened at a location in which several islands trail downwards toward the priestess nuke weapon region .. since the quetzal head merman is the astral light this shows that the mirror portion of the nuke weapon is astrally charged ..
SS: eventually we learn that magma is also associated with the astral light and this is why we have the “As Above So Below” phenomena .. i do not nitpick through all the small daily quakes as these are just from the earth is growing phenomena . after ten years monitoring quake activity only the big quakes matter, the small aftershocks that follow the big quakes and daily small quakes don’t really matter . Strong earthquake hits off southern Japan Tuesday, December 21, 2010; 2:01 PM TOKYO — A strong earthquake with a preliminary magnitude of 7.4 has struck in the Pacific Ocean off southern Japan. Japan’s Meteorological Agency has issued a tsunami warning from the quake, which occurred about 130 kilometers (80.6 miles) off the southern coast of Chichi Island in the Pacific Ocean. The offshore quake struck at around 2:20 a.m. (1720 GMT) at the depth of 10 kilometers (6.2 miles). The agency issued a tsunami alert of up to 2 meters (6 feet) for nearby islands and warnings of milder tsunami for the southern coasts on the main Japanese island. A minor swelling of waves of about 30 centimeters (1 foot) was observed on the island’s shorelines about 40 minutes after the quake, the agency said. There was no immediate report of any damage or injuries.”It shook quite violently. I’m sure everyone was scared,” said Kenji Komura, principal at a high school on the island. He rushed to school, where about 20 students gathered to take refuge. Despite the shaking, nothing fell on the floor or got damaged at school, Komura said. About 170 people evacuated to several community centers and school buildings on the Chichi and nearby Haha islands, public broadcaster NHK said. The eclipse of the moon is seen behind a carving of a salmon at a souvenir shop in Shiraoi, on Japan’s northern island of Hokkaido December 21, 2010. REUTERS/Kyodo (JAPAN – Tags: SOCIETY ANIMALS IMAGES OF THE DAY) JAPAN OUT. SS: in these images below i told in a recent blog how when u know about the fishermen and their tools then you will be one of them . if we recall this spell from the egyptian book of the dead it says that the place where it is pulled tight is the mansion of the moon . it also says that it is the decapitating sword of ISIS .. it also says it is the sinews of ISIS, and the shank of Atum . well ISIS is a “Singer of Atum” or “Enchantress of Atum” . SS: star418 is the beehive crown . it is also associated with the 489 black diamond crown jewel which dropped in a previous eclipse . liber 777 associates this black diamond with what is called the “secret force” .. the secret order brought zro to the next stage from phosphorous to “black phosphorous” .. only the ippissimus high priests and priestess can work with the “black phosphorous” without causing harm to themselves ..
SS: in hermeticism we sometimes refer to the astral light as phosphorous, and so stargate orion is the astral light and so is the moon but the eclipse is “black phosphorous” and is achieved by bringing the zro to it’s next stage . we can see that this ritual the complete rose and cross formula done well .. the priestess grade of ippissimus must be able to complete rose and cross ritual even if she were priestess before she were even born . remaining tuned soul of earth and with the polestar is important . SS: this blog is to remind everyone of the upcoming north american lunar eclipse with eclipse times . it is a very good one to view especially if you live on the west coast . here is a link to a really well done animation with interesting music should listen more than once..
SS: schiela remains in outburst in the beehive crown above the head of leo . it appears the object remain in outburst during the lunar eclipse on monday night . view the above starmap for the complete beehive crown and stargate orion region . SS: this object was discovered in 1906. this makes it once in a 100 years outburst similar to the 100 year outburst of holmes* in 2007 .. although once believed to be an asteroid it’s appearance suggest it is a rare asteroid belt comet . Get Ready for the Solstice Lunar Eclipse! Total Lunar Eclipse: ‘Up All Night’ With NASA! SS: if u notice the hartley tear is way down there now near ISIS the queen star . remember that hartley passed directly through the stargate orion region in alignment with the moon. my understanding is that ambrosia is dew drops from the moon . i think it is why the moon is the hive where all the honey is . and the stars are the bees . which this is a true statement because the secret order ” every man and every women is a star” referring to the scalar potential of mind . SS: scheila was an asteroid until today it decided it needed to outburst .. it was first discovered in 1906 and has been named and considered to be an asteroid due to its orbit. 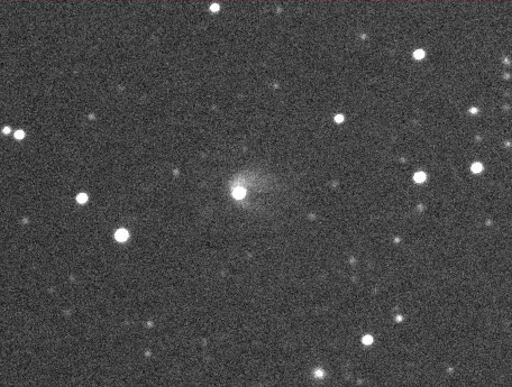 well today we now know this object is really a comet because it is now in outburst . click here to see an image of the object in outbust .. in the skymap above scheila is located just above leo’s head . SS: this is known as the “beehive crown” from regulus in leo to gemini twins .. the central point is the beehive cluster .. from this we get the starburst effect of the beehive crown . What’s going on? There are at least two possibilities. (1) A small asteroid might have hit 596 Scheila, raising a cloud of dust which forms a nebula around the larger space rock. A 1-meter class impactor would be large enough to do the trick. (2) 596 Scheila might be a rare main belt comet, a body with the orbital characteristics of an asteroid and the physical characteristics of a comet. If so, a pocket of volatile ice might be vaporizing to produce the spiraling tail. The Ancient Egyptians’ knowledge of geometry and Precession is clearly demonstrated on the Nermer Plate. The centre point is the tip of the White Leo/Gemini Crown. Line One is through the Club. Line Two bisects the Crown. This creates four angles each of 90 degrees. Line Three is the horizontal at the tip of the Crown. Line Four is the vertical through the tip of the Crown. Already the formation of angles of 30 degrees can be observed. The tip of the White Leo/Gemini Crown becomes a dot within a circle; the Ancient Egyptian hieroglyph for Ra and the concept of Precession. It is the pinnacle of the Axis Munde around which the heavens appear to revolve. (See Part 5) A revolution through the heavens of twelve 30-degree segments can take one year or, in the case of Precession of the Ages of the Zodiac, 25920 years. The division of the heavens into twelve 30-degree segments gives the appearance of a starburst. A further division into 15-degree segments creates the 24-hour day. SS: also in a few days on 21 dec 2010 there will be a lunar eclipse in the orion stargate with the moon and varuna .. it is the orion stargate because it is the upright torch of the lightbringer .. it is one of two places where the milky way intersects with the ecliptic . it is the astral light .. you can also see that the recent hartley is still very near Sirus the ISIS Queen star in both starmaps .. click the starmap below full view of the upcoming north american eclipse. Total Lunar Eclipse of December 21, 2010 A total eclipse of the Moon occurs during the early morning hours of December 21, 2010 (for observers in western North America and Hawaii, the eclipse actually begins on the evening of December 20). The entire event is visible from North America, Greenland and Iceland. Western Europe will see the beginning stages of the eclipse before moonset while western Asia will get the later stages after moonrise. During a total lunar eclipse, the Moon’s disk can take on a dramatically colorful appearance from bright orange to blood red to dark brown and (rarely) very dark gray. SS: this blog is about the polestar vega located in the northern triangle in the constellation of lyra .. it is most notably known as the “swooping eagle” but in some cultures it was known as the “swooping vulture” .. mostly the incans who have a temple called “temple of the condor” at machu pichu . the incan also called it the condor and it is one of the famous nazca lines . SS: we also find that the egyptian goddess “queens of egypt” ISIS and Nephthys were both associated with the vulture. . . the vulture in ancient egypt was at the same level as the cobra as a symbol of royalty and in some cases portrayed with it .. that is why the egyptians ISIS with spread wings .. this vulture was also sometimes depicted as the hawk, or benu (phoenix) bird that upon death of the body reaches to the duat in orion . SS: as we know from the quetzal priestess that the ISIS queen bee requires this polestar the northern triangle is made up of the constellations of cygnus (the swan), aquila (the eagle), and lyra (the swooping eagle polestar) to descend manifest the beehive consciousness .. as talked about pyramid builders on the walls of the egyptian pyramids as pyramid texts.